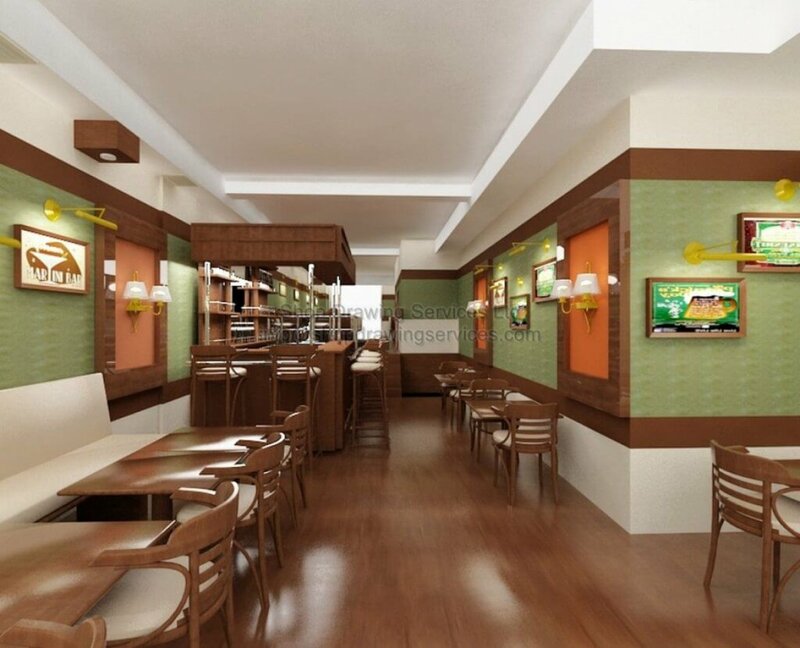 We provide restaurant design renderings. We are ready to work on any kind of illustration drawing. For more information, please visit our 3D cad drafting services page. Shop Drawing Services Ltd. ready to work with you. You can visit us about 3D cad drafting services.